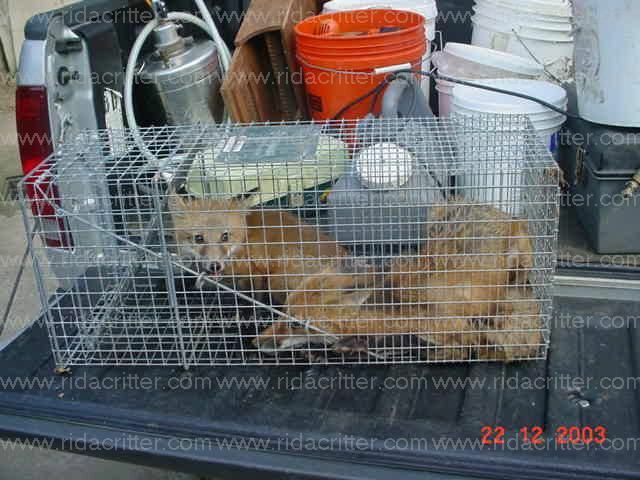 Live trapping foxes has long thought to be hard if not impossible. The picture above shows two which were live trapped in the same trap! If you are having problems with FOX and need to treat a local infestation, click on the link below to learn control options.